After a Christmas and New Year break, I'm back to the grindstone on the Pull List, reviewing all of the comic books that I buy each week. As this is the beginning of a new year, it's worth briefly looking back at 2013 to see what the highlights were. 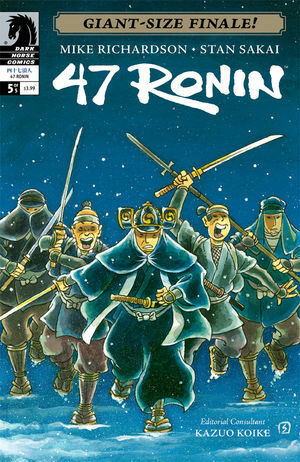 For my money the best comic series of 2013 was Dark Horse's 47 Ronin. Mike Richardson wrote a highly effective adaptation of the Japanese legend, while Stan Sakai took a rare break from his creator-owned anthropomorphic animals to give the story exactly the sort of pastel-coloured, gently styled artwork that it needed. It may have only been a five-issue miniseries, but I gave every issue five out of five - it was simply that good. Speaking of five out of five, across the whole year I awarded five stars to 115 comics - an average of 2.2 comics per week. Marvel had the lion's share of those with 48 five-star comics, although that came from a fairy narrow band of titles: Thor: God of Thunder, Young Avengers, Hawkeye and Daredevil accounted for 26 of those between them. 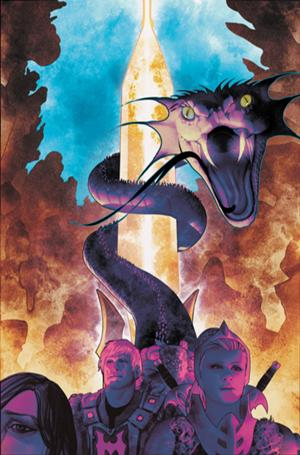 Thor had the most five-star issues with eight, mainly due to the sensational "Godkiller" arc that kicked off that series. If there's an award for Publisher of the Year, however, I really think it deserves to go to Image. 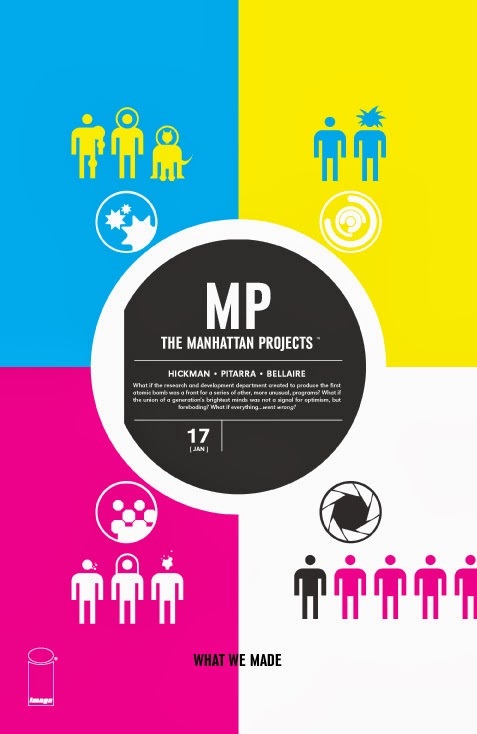 The publisher has released a massive quantity of creator-owned titles over the year, across a range of genres. 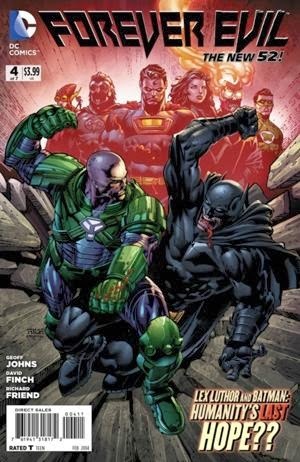 It's left the American comic book industry in a much healthier place that it was in at the end of 2012, proving that a broad range of genres can thrive outside of the "big two" paradigm of superhero comics. Image has successfully expanded science fiction through books like Black Science and Storm Dogs, horror through Revival, fantasy with Umbral, edgy drama through Sheltered and Lazarus and crime via Fatale, Dead Body Road and a number of others. All up, I really enjoyed being a comic book reader in 2013, and have high hopes for the year ahead. Let's start reviewing: this week, the reviews cover All-Star Western, Aquaman, Batwoman, The Flash, Forever Evil, The Green Team: Teen Trillionaires, He-Man and the Masters of the Universe, Manhattan Projects and The True Lives of the Fabulous Killjoys. DC Comics. 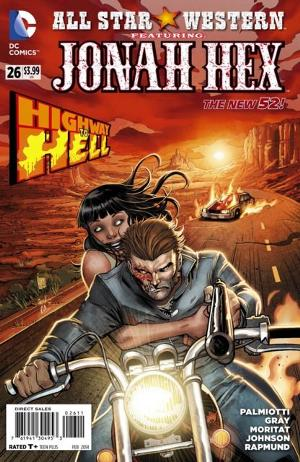 Written by Justin Gray and Jimmy Palmiotti. Art by Moritat, Jeff Johnson and Norman Rapmund. DC Comics. Written by Jeff Parker. 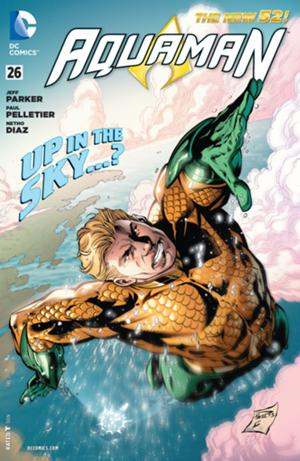 Art by Paul Pelletier, Netho Diaz, Sean Parsons and Ruy Jose. DC Comics. Written by Marc Andreyko. Art by Jeremy Haun. DC Comics. Written by Christos N. Gage. Art by Neil Googe. DC Comics. Written by Geoff Johns. Art by David Finch and Richard Friend. DC Comics. 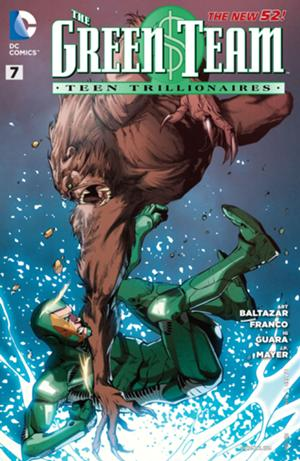 Written by Art Balthazar and Franco. Art by Ig Guara and J.P. Meyer. DC Comics. Written by Dan Abnett. Art by Michael O'Hare. Image. Written by Jonathan Hickman. Art by Nick Pitarra. Dark Horse. Written by Gerard Way. Art by Becky Cloonan. 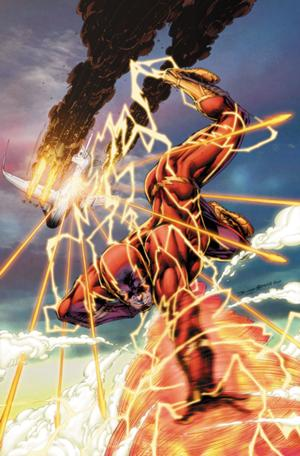 Winner of the Week: The Flash. Loser of the Week: All-Star Western. 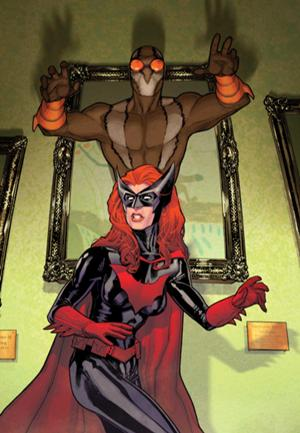 I seem to recall it's been announced that the loose ends of the Batwoman/Batman thing are going to be sorted out in the next Batwoman Annual, whenever that comes out.